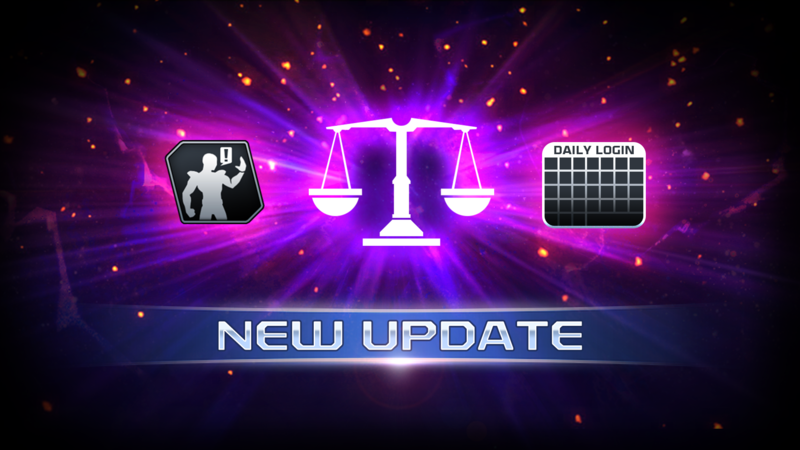 To thank those that play everyday, we’ve added a Daily Login Reward! Each day when you login you will earn a free reward, with more login days leading to better rewards. 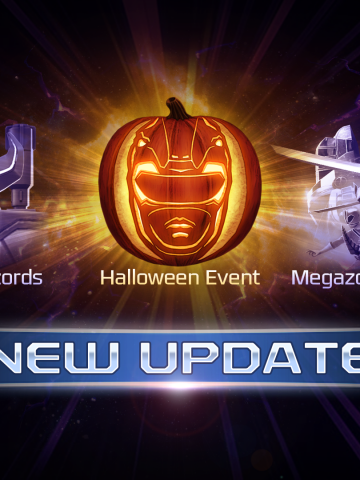 Earn Crystals, Coins, Warriors, and more. Rub in that big combo you just landed with taunts! Each Leader Warrior has their own unique Taunt that can be activated in matches. Taunts do not cost energy and do not have invincibility frames. Any action (move, dash, being hit) performed will cancel the Taunt. You can now see who in your Alliance is currently playing by looking in the Info popup within your Alliance. To make it easier to bring in new Warriors onto your Challenge team, we lowered the Level and Talent Cap for Challenges. To see which talents of you Warrior will be eligible for Challenges, go to: Team → Roster → Select a Warrior → Talent Tab → Scroll down until you see the Talent Cap line. If you are trying to sneak in a match at work, you can now go into Settings to turn off the vibration that happens when a match is found. 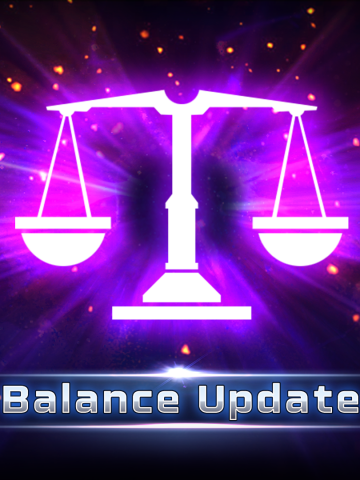 For this round of balance changes, we wanted to focus on boosting some Warriors that were not being played that often. 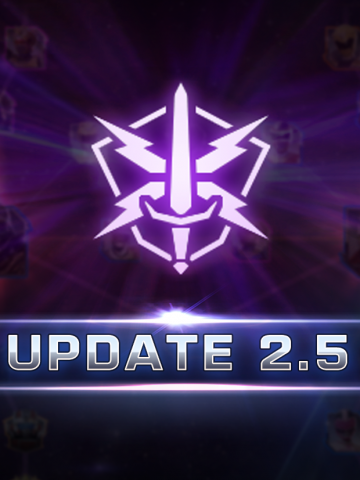 While there are a few Warriors we’ve adjusted that are a bit too strong, the overall focus in this update is to boost Warriors that weren’t quite strong enough. We’ve also added a fire status effect that does damage over time (DoT) to some Warriors. Characters such as Lauren Shiba now can burn their opponents after a successful hit. Like Udonna’s freeze, we want to add variation that will mix up the standard tactics of combat. Zack did not have enough combo and damage potential. We’ve adjusted the timing and damage of his Hip Hop Combo. Secretly one of the highest tiered characters in the game, MMPR Blue had a win rate that rivaled Koragg’s. A lot of this is due to his ability to continuously poke his opponent. While we didn’t want take this fully away from him, we also did not want him to have an endless amount of pokes at his disposal. While strong, Goldar does not have a lot of range, which makes him hard to use. With a bit more range and a slight reduction in EP, his moves should have a tad less risk to them. Zack was a bit too sluggish so we altered two of his moves to increase his combo potential and speed. By changing Rolling Thunder from a stagger to a sweep, you can now easily combo off of the move even if your opponent is not in a corner. Very few players realized that the Faint Palm could dodge projectiles and that was due to how small the dodge window was. We increased said window to make the move easier to pull off. Her Bayonet Slasher made her unreliable at times, as positioning could cause her to miss hits during an attack. In order to ensure that the 2nd hit connects we’ve made some changes to how this ability works. Zhane is in much better shape than he was at his release, however sometimes he’s a bit too quick. We’ve increased the startup time on Silverise Slash to give his opponents a better opportunity to counter. Trakeena is another Warrior you shouldn’t sleep on. While not as popular as some Warriors, Trakeena in the right hands can be very successful. Her biggest downside is the lack of comboing potential. To help compliment her sweep, we’ve adjusted the speed of her combo so that the sweep and the combo would partner well together. While jetpacks are inherently cool (or hot, depending on who you ask), Rito’s wasn’t too useful in combat. We’ve added an additional hit at the beginning of the move that staggers the opponent, thus guaranteeing the final blow. While there are many tools at Tommy’s disposal, his ability to bait blocks was hindered by the speed of Feinting Rush, making the window of time you can cancel this attack very short. We’ve slowed it down just a bit so that cancelling is more reliable. Each of Ninjor’s moves, besides from his single hit attack, had large disadvantages. The changes below should make Ninjor a more formidable Warrior. Koragg’s damage potential was just too high. A single mistake against him would leave you with little health. The combo of Shield Bash and Dark Magic Strike made Koragg a tier above all others. This is why we reduced the impact of this combo. He still hits hard, but just a little less so. When Zeo Gold hits, he hits hard, it’s just difficult to make contact. We increased the speed of two of his attacks to make initializing combos easier. As if he wasn’t cool enough, we thought added a fire DoT to the final hit of his combo. Seems only fair that a flaming sword will set an opponent on fire. We’ve increased the EP of Kanji by one to offset her double DoTs. And again, seems only fair that a flaming sword will set an opponent on fire. Rito’s assist need a little something to make the lower damage worth it. The DoT added to his flameflower changes the way this assist can be utilized. Ever since we increased the speed of breakers, Rita Assist becomes one of the most favored Warriors in the game. With the speed of a strike attach, low ep cost, and combo potential, it’s hard to justify her not being on your team. We slowed her startup and increased the ep cost in order to make her use more situational. His speed and low cost put him at a large advantage over other assists, so we’ve increased the EP cost to make using him a more calculated decision when choosing a team. 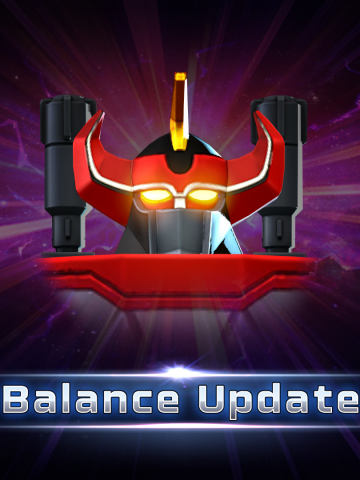 Koragg’s Shield of Darkness was just a little too strong for the EP cost so we bumped it up to balance the utility. Speed, range and low ep cost made Zeo Gold very powerful. We’ve increased his EP cost to put him more in-line with other Assists. We realized that despite having four Megazords to choose from, players were favoring Dino due to his all around usefulness, while the other Megazords fell by the wayside. We’re bringing Goldar, Predazord, and Thunder up to be more competitive with Dino.